Material and Finish: "Dazzling Pewter" powder-coated steel posts with wood top rail. 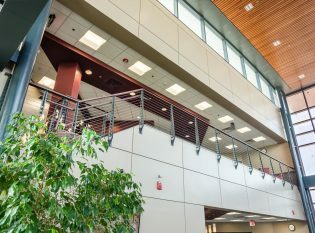 Description: 42” high Chicago Style cable railing. 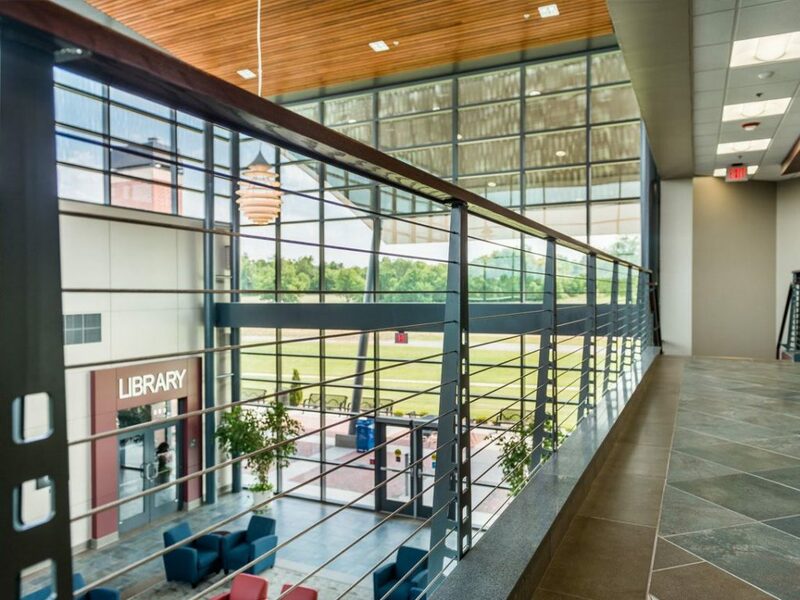 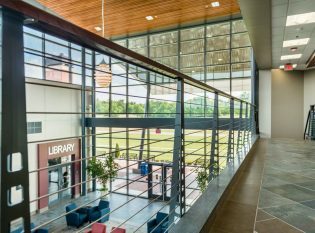 We worked with Dewberry Architects and Lowry & Hemphill Construction on Rogers State University’s campus in Pryor Creek, Oklahoma. 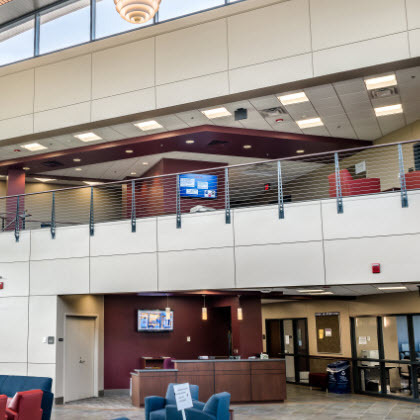 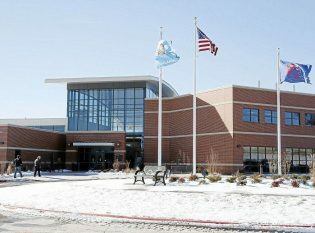 For the school, we fabricated a 42″ tall Chicago Style cable railing for the building’s atrium and main staircase. 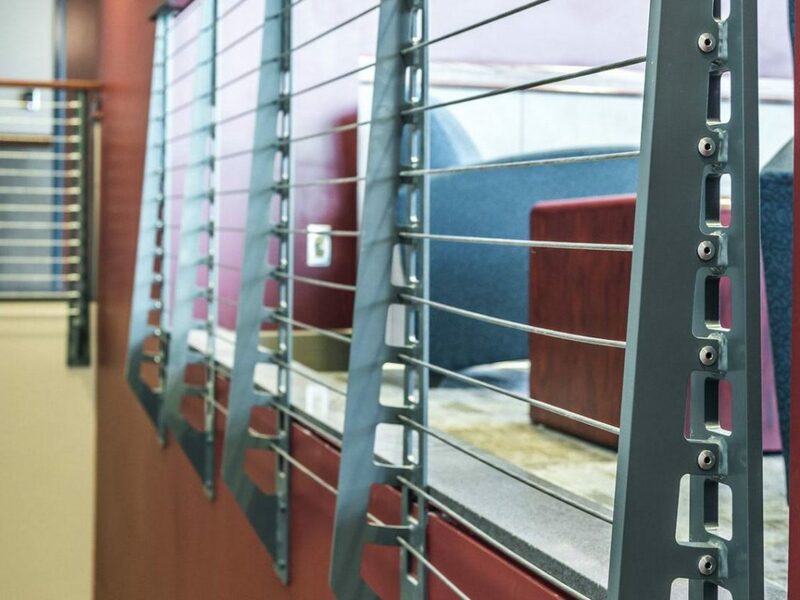 The railing features “Dazzling Pewter” powder-coated steel posts, a wood top rail, and an ADA compliant wood handrail.